Stamford Gas Plumbing Heating services, No call out charges, Fully qualified gas engineers, full liability insurance, gas safe engineers, call us we will not be beaten on price or quality of workmanship. H20 Plumbing & Heating Services, have over 25 years in the electrical and plumbing business and have a single philosophy this is complete customer satisfaction. our experience in both Electrical and plumbing repairs and installations ensure we maintain this ensuring you get the highest quality and fully insured workmanship from us at the lowest costs. Your trusted local plumbers. If you need some help with your plumbing or heating, then make sure you give an experienced business a call. Our plumbing and heating services include the following: • Central heating • Boiler work • Bathroom installations • General plumbing If you're in the Chingford, Harlow, Chlemsford or Bishop Stortford areas, get in touch with JM Lockwood Plumbing & Heating who will be able to help. As a family owned and run company, you can count on us to provide top quality work. We have a wealth of experience and as we are Gas Safe registered, you can be assured all of our work will be of the highest possible standard. Please contact us to arrange a quotation today. Your local Gas Plumbing Heating Company, that proudly serve Lincolnshire, Rutland, Peterborough, Stamford areas. From leaky taps to gas boiler installations, underfloor heating, we do it all. Your plumbing services we offer a 60-minute response to emergency plumbing repairs whenever they occur. We are a team of local plumbers in Birmingham dedicated to delivering a 24hour plumbing repairs service. By us having many years of experience in tackling a variety of different plumbing repairs is a vital factor that helps us resolve most callouts on the first visit. We are experienced qualified and competent in carrying out work on gas-related issues that central heating repairs often require. Not only is our service cost effective but it is also flexible to suit a potential customer's hours of availability. The Plumbing services that we offer are repairs to Burst pipes, Boiler breakdown, Blockages, Gas leaks. Replacement taps. Shower installation, Water leak detection, Garden taps, Gas safety inspection. Birmingham being the primary area we cover within the West Midlands, However we can also respond quickly to areas such as Walsall, West Bromwich, Dudley, Wolverhampton, Stourbridge, Solihull, Sutton Coldfield. Our aim is to be on site less than an hour from the call to the door. Gas Safe registered plumbing company covering BH postcodes. We can help you with all your domestic plumbing and heating needs. From leaking taps to boiler installations and emergency leaks. Fully qualified engineers and fully insured. Friendly and polite engineers. 24hour Emergency Plumbers, Heating and drainage company. based in west London ealing. Based in Etchingham, near Cranbrook, Dale Saunders LTD are gas safe registered plumbing and heating specialists. We offer a wide range of services throughout East Sussex. Our services include: general plumbing, gas central heating, oil fired central heating, landlord certificates, safety tests, bathrooms, kitchens and much more. Absolute Plumbing and Gas Solutions is a reliable service provider to central heating and boiler installation or repair services across the Dunstable, Luton and Milton Keynes. Whether it is a gas or an electric boiler or central heating system, Absolute Plumbers are meant for comprehensive, high quality plumbing work in these areas. Our professionals are Gas Safe Registered, Green Deal Approved can provide 5 years OFTEC warranty on all our plumbing work. Our experienced plumber are experts in fixing faults with boiler and central heating systems, leaks, blockages, breakdowns and malfunctions. We provide commercial help for central heating, boiler repair & installation services as well in Dunstable, Luton & Milton Keynes. If you require any of our plumbing service you can simply give a call or fill our form. We will be pleased to help you. We are a rapid response emergency plumbing ,heating and drainage company. We aim to be with you within the 1hour to deal with those unexpected emergencies problems. LA Plumbing Solutions is a London based company that specialises in luxury bathroom, shower room and wet room installations. 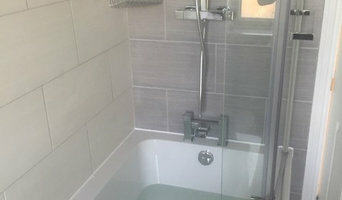 We undertake complete bathroom refurbishment projects and we specialise in a wide range of bathroom, wet room and walk in shower installations. 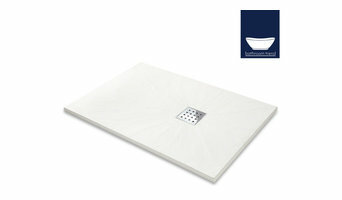 We have over 20 years of experience and work closely with many high end bathroom and tile retailers. We are competent and experienced in both high end and standard bathrooms. We undertake all types of bathroom installations, from traditional Victorian through to the more contemporary and cutting edge designs. 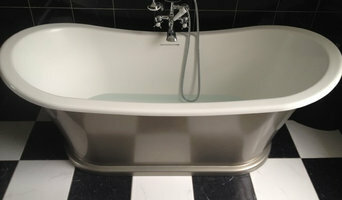 Please visit our pictures gallery for ideas and inspirations for your bathroom or wet room project. At LA Plumbing Solutions, we take great pride in ensuring our work meets our client's requirements and are completed to the highest standards. Contact us to arrange a free initial appointment and free quote. Services Provided We offer a complete service, a completely one stop service. All you have to do is choose you sanitary ware and tile, and we’ll do the rest. What can I hire plumbing companies for? Plumbers can do more than just fit sinks and fix toilets; for any water or gas fixture there’s a plumbing company that can repair, install or even design it for your home. In the kitchen, you’ll need local plumbers to hook up your sink, dishwasher and washing machine to the main water supply and the drainage pipes, and they may be able to help with waste disposal units, gas hobs and plumbed-in fridges that dispense ice and water. In the bathroom you should hire plumbers to install your main bathroom fixtures – showers, baths, sinks, toilets and bidets. Plumbing companies and heating engineers can also install towel radiators, shower body jets, bath spas and possibly underfloor heating. If you want to source your plumbing materials yourself so you can have 100% clarity on the materials and prices of materials you are using, you can also find local plumbers merchants on Houzz. Plumbers merchants will sell all sorts of plumbing supplies, parts and kitchen and bathroom fixtures, so you can choose exactly what will be used in your home. Plumbing doesn’t have to stick to the kitchen and bathroom, either. Plumbers can install water taps outside for hoses and sprinkler systems, or you may want outdoor water features, such as a fountain, pond, pool, hot tub or shower; all of which you can talk to local plumbers or plumbing companies about. You may find that you need a plumber to work with a tiler, kitchen designer or architect so that your whole redesign can come together seamlessly. Here are some related professionals and vendors to complement the work of plumbers: Main Contractors, Septic Tanks & Sewage Systems, Kitchen & Bathroom Designers, Kitchen & Bathroom Fitters. Who will be working on the project? Are you an individual plumber or part of a plumbing company? What plumbers’ training, qualifications and certifications do you have? What are your prices and what does that include? Will I need to source plumbing materials myself? How long will the mains water need to be turned off for this job? Do you have any concerns for this plumbing project? Find local plumbers on Houzz. Narrow your search in the Professionals section of the website to plumbers and plumbing companies. 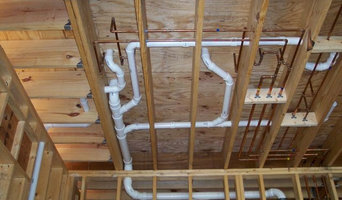 You may also look through photos of projects to find a plumber who has worked on a project similar to yours.